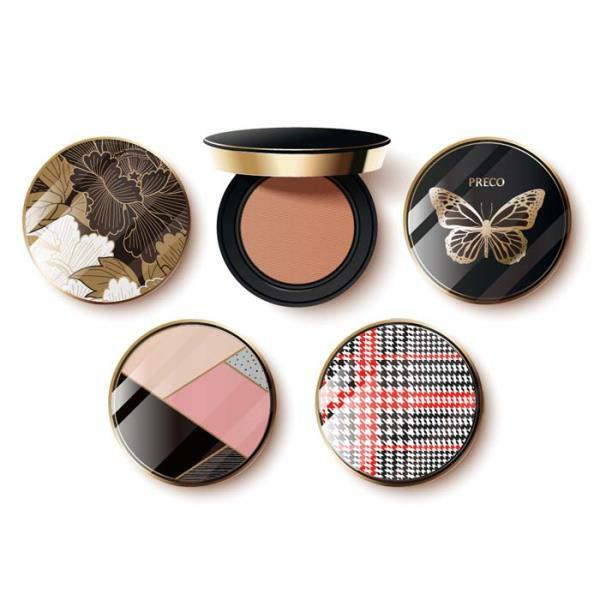 Preco's custom-made heat transfer films have been the go-to choice for global customers wanting to decorate cosmetic packaging, oral and personal care products, pens, and small electric home appliances for nearly four decades. Customized heat transfer films offer many advantages for the decoration of packaging as a unique design can be created specifically to fit. It can be transferred in a single process upon a variety of materials in just one single step. There is no need to mix inks or clean up post-printing, and no trouble with handling the solvents and inks at all; just foil set up, and overall printing time and cost can be both reduced. 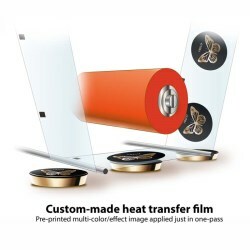 Preco's heat transfer films offer various effects. With Preco's heat transfer films, it is not only colours and graphics, but also effects such as metallisation, matte & stealth finishes, brushed hairline, polarized pearl, and colour graduations that are applied in one single step. Preco achieves fantastic image quality. The company uses its own print die making facility and chooses the best die engraving method —laser & chemical etching, diamond-cutting — according to the image type, in order to ensure optimal print quality for each project. Preco maintains a consistent quality of colour in each and every production. In-line camera and out-line human eye inspection are installed to print with minimal deviation between color layers. In addition, automatic velocity control system ensures almost no color variation in each production. Preco's heat transfer films are physically resistant to water, alcohol, perspiration, cream, scratches. 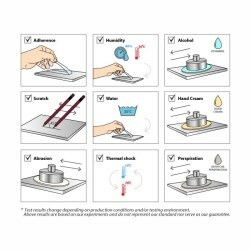 Preco's heat transfer films are used in various applications, and are subjected to many physical resistance tests: die cut tests, rub tests, water resistance tests, toothpaste resistance tests, and more. Preco's heat transfer films are tailor-made to each project. To ensure the most effective solution, Preco tailors not only the printed images to each customer's needs, but also the formulations for the inks, glue, and protecting agent used. Solvents are chosen based on their suitability for each individual case. There is an expert team at Preco that has the skillset and experience necessary to bring original designs to realisation. Preco supports its customers throughout the development and manufacturing process, dealing with any technical concerns or difficulties at the earliest stage possible, thus significantly reducing Research and Development time and expense. To discover the best solution for a project, contact Preco. Aware that brands require easier ways to differentiate on the shelf, Preco offers an ideal solution which enables products a brand new look that is quick and easy. Preco's 3D decorative sheet offers a product a 3D visual effect without the requirement for special molding. Preco Corporation is today valued by brands worldwide as a strategic partner from the decorating industry, producing eye-catching foils that ensure a client’s product stands apart from those manufactured by market competitors. Here, Preco introduces us to business life behind the scenes, explaining how it satisfies its clients with customisation options, and providing us with a glimpse into the ‘green’ ethos which characterises the production team so strongly. Preco supplies not only tailor-made multi-colored heat transfer foils, but also ready-made hot-stamping foils in a variety of colors with various applications. This decorative endless film offers a great way to add value to consumer products through decoration. Whether natural wood grain pattern or industrial brushed metal visual effect, Preco’s advanced heat transfer foil covers contemporary, modern, or close to original vividness for packaging decoration. Preco’s digital heat transfer foil is an efficient and cost-effective packaging decoration for brands to launch a new product without conventional mass production limits. The immediate solution reflects customizable and stunning metallized visual effect. Preco helps companies adopt a “Dry” decoration to turn production into a green process. Its decoration materials are all “Dry” process by safe substances, which does not require ink mixing, ink viscosity monitoring and time-consuming clean up. Based in Osaka, Japan, Preco Corporation offers impeccable service to help companies add value to products with advanced decoration technology.